A few weeks ago I was invited to join a new SleepNumber Smiley360 Mission. 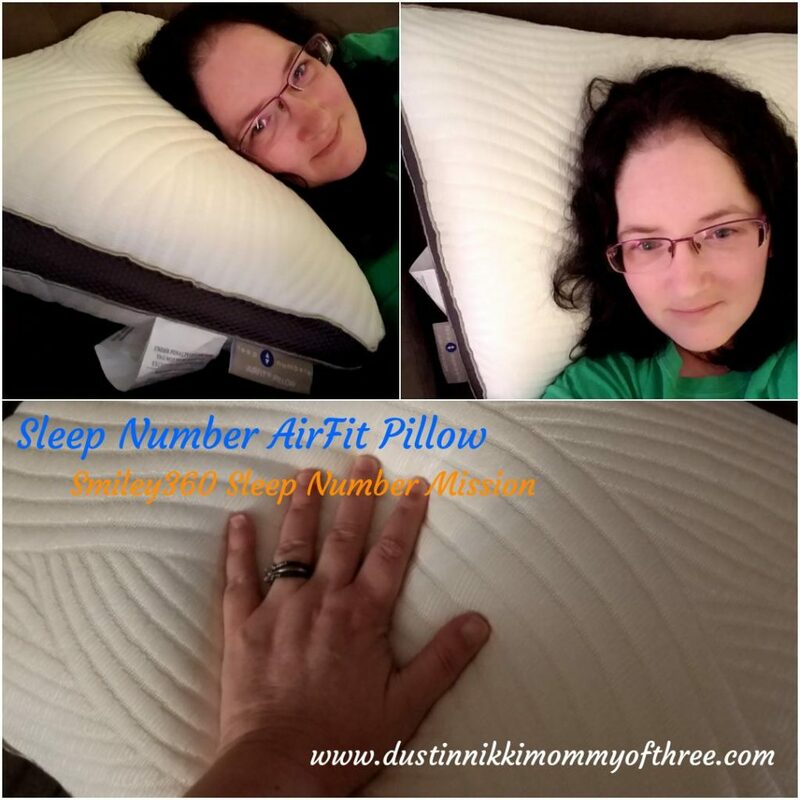 After I completed a few required tasks for the mission, I was sent a free Sleep Number AirFit Pillow for my use and review. The first part of the mission was visiting a SleepNumber store and try out their SleepIQ Technology. The store we went to was really nice and I loved the layout of the place. The store representative that helped us out knew about the Smiley mission when I handed him my information card that I received from Smiley360. My husband and I were talking to him about not quite being in the market for a new bed/mattress just yet but we will be within the next 6 months to a year and had been wanting to check out Sleep Number before we buy anyway. The sales guy was really knowledgeable and helped us with any questions we had. We got to try out one of their mattresses and we also found out what both of our sleep numbers were. The mattress seems really comfortable and after learning more about their SleepIQ technology and trying out a mattress, we might just buy one when we decide it is time. We had a really good experience at the store! 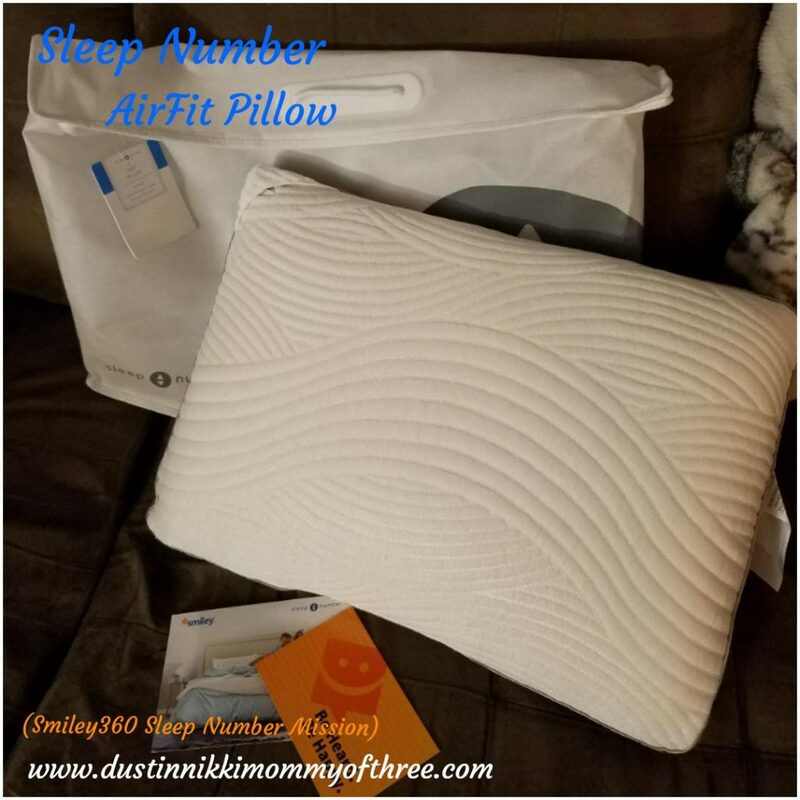 After we had went to check out the store and I completed a few tasks for my mission, Sleep Number and Smiley360 sent me a Sleep Number AirFit Pillow. I absolutely LOVE this pillow. For years my pillow situation just hasn’t been great. I always tend to buy those cheap five dollar pillows and after about a week or two it’s flat. Before I got my Sleep Number pillow, I was using 3 really flat standard pillows which also meant at some point throughout the night I ended up losing one or I was constantly re-adjusting them. With the Sleep Number AirFit pillow, that’s all I need. The outer cover is really nice because it stays cool. I don’t know how it does but it does. It has something to do with the fabric. It’s pretty nice waking up and not having my neck all sweaty. The pillow is made with a soft memory foam and is so lovely for my head. It allows my neck and head to be cushioned properly so I don’t wake with a sore neck. Ever since I have been using it, I have been sleeping much better. I wake up less often throughout the night and I feel more rested because of it. It’s helped my neck and back a lot during sleep. The other great thing about it is that it has an air adjust dial for proper head and neck support. The dial is up in the corner of the pillow and tucked away nicely so it doesn’t get in the way. By turning the dial, you can adjust the height of the pillow to fit your needs for better support. I think this technology is really neat. It’s automatic, there isn’t any need to add or remove air yourself or anything. You just simply turn the dial. I also have TMJ disorder. I have always been a side sleeper and I have been training myself to sleep and stay asleep on my back. Every since I had dental surgery almost a year ago, I have had constant problems with my TMJ (jaw joints and muscles). Sleeping on my side causes issues because if I sleep on the side of my face, I wake up with a sore jaw and sometimes it will even lock up for a little bit on me. Sleeping on by back takes the pressure off my jaw. This pillow has made it easier for me to sleep on my back and stay on my back for the most part. I don’t know why that is but I am going to assume it’s because my body is actually getting the right kind of support while sleeping. This by far is the best pillow I have ever had. I let my husband try it out one night and that’s all it took. He says he’s buying himself one! 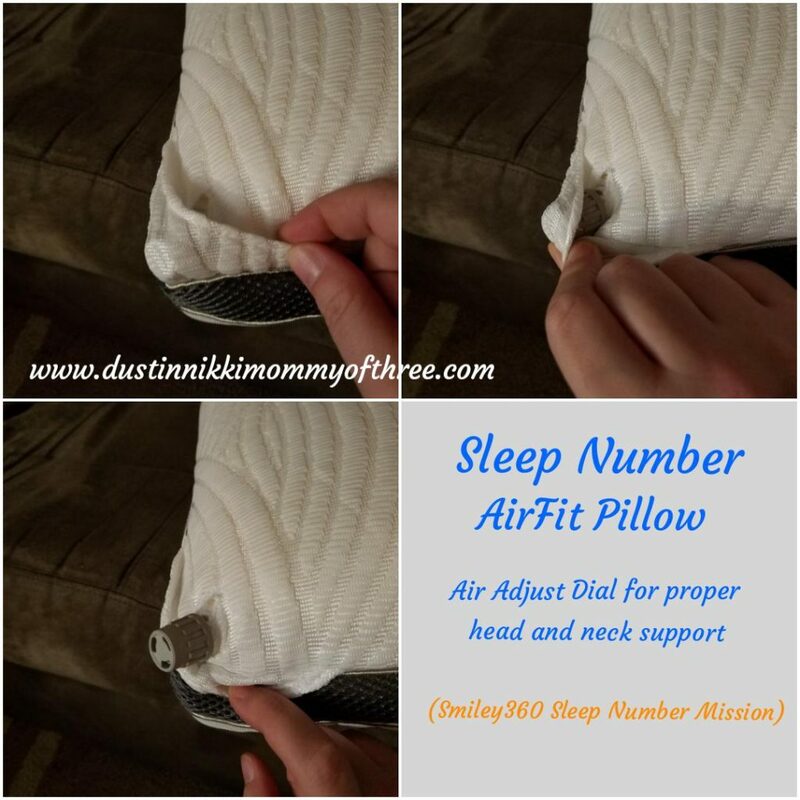 Buy One: Visit Sleep Number website and follow this link here —> Sleep Number AirFit Pillow. They are regularly $149 but they are on sale now for $119! Disclaimer: I was not compensated for this post. 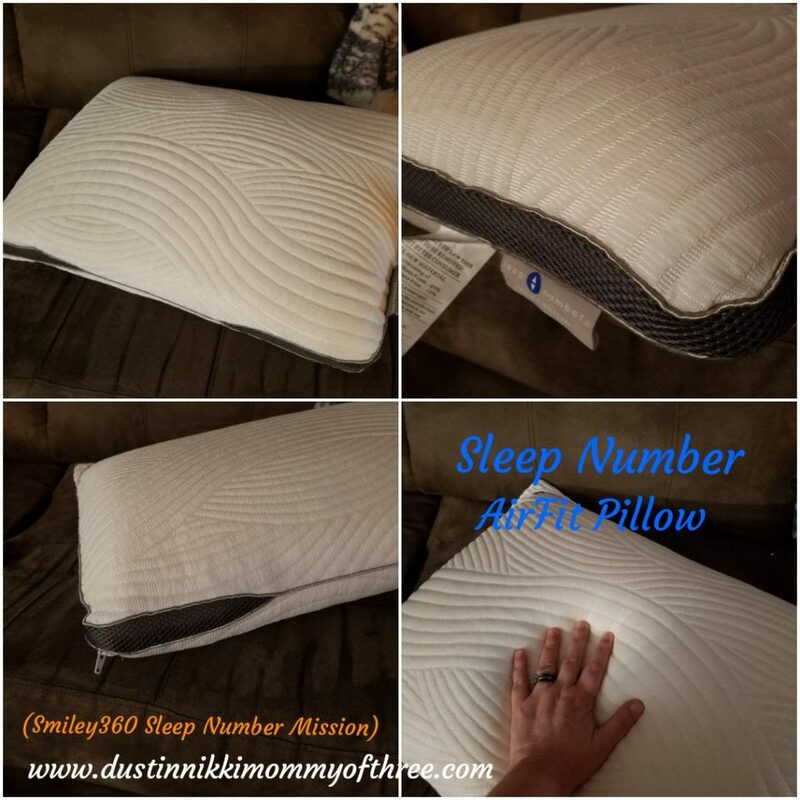 However, I received free product mentioned in this post from Smiley360 and Sleep Number for my use and review. All opinions expressed in this review are 100% my own.